Home Buisness updates How do you score on this money quiz for teenagers? The money expert Martin Lewis has paid for 340,000 textbooks on personal finance to be sent out to all of the UK’s state schools. The book, called Your Money Matters, is designed to help 15-16 year-olds manage their finances. It has the support of the Department for Education. Financial education has been on the national curriculum since 2014, but Mr Lewis said schools had struggled with resources and teacher-training. The book will help teenagers learn the answers to a series of questions about money. How do you score on the quiz? 1. Explain the advantage of compound interest compared to simple interest. 2. Which is better for a saver – an account which calculates interest daily, monthly or yearly? 3. Do you know what your personal savings allowance is? 4. Explain the difference between APR and AER. 5. What does the term PAYE stand for? 6. Explain the difference between a standing order and a direct debit. 7. What is the difference in law between returning a faulty good within 30 days and after 30 days? 8. How might changes in the UK base rate of interest affect borrowers? 9. What is the total amount of savings per authorised institution that are protected under the Financial Services Compensation Scheme (FSCS)? The book was written by staff at the educational charity Young Money and funded by a £325,000 donation from Mr Lewis. “I still wrestle with whether it’s right that a private individual should fund this. Yet nothing else was forthcoming, and pragmatics outweigh principles,” he said. 1. Compound interest means you get interest on interest. So if you earn interest in year one, in year two you get the interest both on what you saved and on the interest in the first year. Simple interest does not do this, meaning that at the same rate, over time the compound interest method will generate a higher amount in interest. 2. Daily calculation is better for a saver (this is actually the method most financial institutions use). Take a look at the following table, which shows what would happen if banks were to calculate the interest payable on £5,000 at a rate of 3% for five years over different compounding periods. 3. A basic rate taxpayer (20% tax on income) can earn £1,000 interest on savings per tax year without paying tax on it. 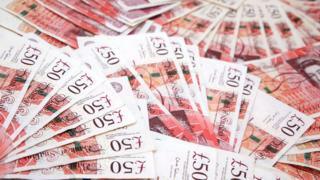 Higher rate taxpayers (who move into the 40% tax bracket) can earn £500 interest on their savings before being taxed. Additional rate taxpayers (whose income extends into the 45% tax bracket) get no allowance. 4. The interest rate you receive when you save money in an account is known as the Annual Equivalent Rate (AER). The Annual Percentage Rate (APR) is the what you are charged for borrowing products. Both take into account any fees and charges. 5. Pay As You Earn. This is the way most employees pay tax – it is deducted by the employer – so the amount of money received comes after tax is taken off. 6. Standing order. You are in control, you instruct your bank to pay the money to a particular person or company, it is your responsibility to change the payment details (eg the date or amount) if they need to be changed. Direct debit is an instruction to your bank to release money from your account to pay bills and other amounts automatically, the billing company has control. 7. If you return a faulty item within 30 days, you are entitled to a full refund. You can still return the item after this, but the supplier can then offer a repair or replacement instead. 8. The official UK interest rate (often called the base rate) is reviewed and set eight times a year by the Bank of England. Many lenders, especially with mortgages, tend to move their rates in line with this rate – so when it rises so do they. Some rates are directly linked to it, at other times the lender can choose whether and how much it tends to match it depending on its own competitive advantage. Yet some rates such as fixed rate mortgages, or high interest credit cards may not move at all. 9. FSCS protects up to £85,000 per authorised institution or up to £1,000,000 for six months after major life events (eg death, or sale of a house). 10. Phishing is a criminal activity that attempts to mislead people into providing personal information and often bank account details. This is often done online through the sending of fake emails.